The stock rallied 8 per cent to Rs 203 on Tuesday and was trading at its highest level since October 9, 2018, on the BSE. Shares of Tata Motors moved higher by 8 per cent to Rs 203 on Tuesday, gaining 17 per cent in the past two trading days on the BSE, after the company’s wholly-owned subsidiary Jaguar Land Rover (JLR) said it expects improved financial results for the quarter ended March 2019 (Q4FY19). The stock of Tata group Company was quoting at its highest level since October 9, 2018. The trading volumes on the counter jumped an over four-fold today. A combined 88.75 million shares representing 3.5 per cent of total equity of Tata Motors changed hands on NSE and BSE till 03:00 pm. “The Company reaffirms that it expects improved financial results in the fourth quarter period to March 31, 2019, compared to the first nine months of the financial year, with significant positive cash flow in the fourth quarter,” JLR said on Friday, March 29, 2019, after market hours in a regulatory filing. 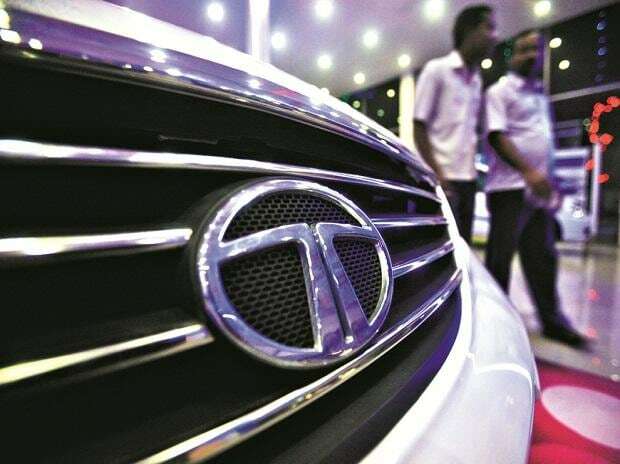 Meanwhile, Tata Motors on Monday, after market hours, said that commercial and passenger vehicles business sales in the domestic market declined by 1 per cent to 68,709 units due to low market sentiments. In March 2019, the SCV Cargo and Pickup segment recorded a growth of 11 per cent at 21,621 units as compared to 19,464 units sold Last year. The evolving hub-spoke model, demand for the last mile connectivity across the rural and urban markets, and Swachch Bharat initiatives have led to increase in demand in this segment, Tata Motors said in press release. The commercial passenger carrier segment recorded sales of 7,239 units, up 2 per cent over last year, due to increased demand for school buses, in addition to the growth in Winger sales for ambulances and school requirement. The new product introduction of 15-seater Winger has received good traction and the deliveries of electric buses to various STUs have also contributed to this growth, it added.